Are you looking for an airplane car seat for travel with an infant or toddler? Are you trying to decide if you should even use a car seat on a plane with your child? I know that the idea of traveling with a car seat (along with all your other gear) can seem overwhelming, but take a deep breath – help has arrived. Welcome to our travel car seat guide for 2019. In this post, I will help you learn what you need to know about the rules and regulations surrounding the use of car seats on airplanes, and share with you my best FAA approved car seats list. Please read on to learn everything you need to know about portable car seats for travel. Please use the menu below to quickly find the section you need. Short on time? Click here to go straight to our Best Carseat for Travel Comparison Chart. You can sort the chart by tapping on a given heading. If you are on a mobile device, swipe to the left on your screen to see the whole chart. 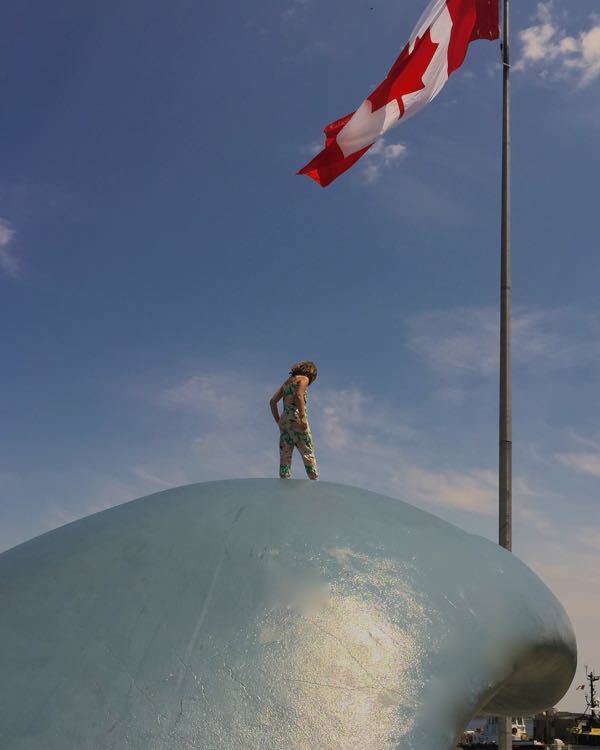 Important Disclaimer: I intend for the information on this website to serve as a general overview on matters of interest derived from my experience traveling with my own children. I am not an expert on the subject and safety of car seats for airplanes. I attempt to ensure that the content is current and accurate but I do not guarantee its currency and accuracy. Is a Car Seat on a Plane Mandatory? Car Seats on Planes – Do People Really Use Them? While a CRS (child restraining system = car seat) is not required for airplane travel with a toddler or baby in the U.S. (or Canada), the FAA – Federal Aviation Administration recommends securing a baby / toddler on a plane. This option, however, is only guaranteed to be available to you if you purchase a separate airplane seat for your child*. Since parents are not required to purchase a separate infant airplane seat or toddler airplane seat for a child under 2 years of age, many people choose to have their baby on their lap throughout a flight because it is free (or very discounted). *If you have not purchased an airplane seat for a baby or toddler (of under 2 years), an extra seat may still be offered to you free of charge. For your best chance of this, arrive extra early to the airport and make this request upon check in. You will likely need to check in at the airport anyway (rather than online) as this is the typical protocol when flying with an infant or child under 2. The reason for this, is that the airline needs to verify the age of the child from their birth certificate (or passport) – discouraging the odd person from trying to pretend that their petite 4 year old is actually 23 months old in order to get a free seat. According to a flight attendant friend of mine (with whom I often consult on matters related to flying with a baby), she rarely sees a newborn secured in a travel infant car seat on short haul flights, but sees this more frequently on long hauls. While a baby is most certainly safer in a purchased airplane seat, secured in an FAA certified travel baby car seat (even on a short flight), people clearly choose the lap baby option to save money (I know we did, so I am certainly not judging.) An infant can also be quite easy to hold throughout a flight and is often quite content in their parent’s lap. Traveling with a toddler on a plane is quite another story. According again to my flight attendant friend, she sees more toddlers (under 2) in their own airplane seats than infants – many secured in a travel toddler car seat or a toddler travel harness (CARES Harness). While this is, once again, the safest way for them to fly, there are some other practical considerations. 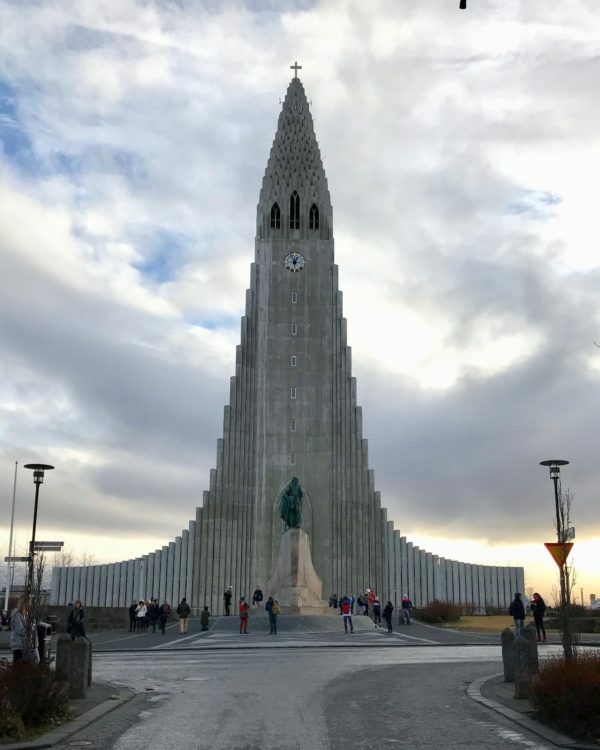 Having traveled on some long haul flights with an 18 month old in my lap (because we were trying to save money), I will share with you that these were not some of the best hours of my life. A toddler is active and a toddler doesn’t necessarily want to be held in your lap even with all those little surprise toys you have brought along. My daughter could have easily played peek-a-boo with fellow passengers for 2 hours straight (even if they tired of the game after 2 minutes). Toddlers do, however, understand car seats – since they have been riding in them from birth. If you can afford it, buck up and buy that separate seat, and know that your toddler is safe, secure, and comfortably restrained in a car seat or toddler flight vest. The added bonus is that you will also have your hands free to enjoy a fine airplane meal and perhaps a movie (no you won’t – but you will have your hands free). An aside: This topic makes me think of the flight I took from LAX to Mexico City where a toddler took off down the aisle as the plane began its taxi towards the runway. The parents seemed either unwilling or unable to secure the unruly child, and the flight attendants were entirely unaware of the situation as they were already buckled in at the back of the plane. Eventually, the parents were reprimanded by fellow passengers and they collected their child (who, caught by surprise, began her hour long tantrum kicking the back of my seat). I will take this moment to say that I am a big fan of preparing children for airplane flights by reading books to them about what they can expect, and what is expected of them (My First Airplane Ride and My Plane Trip are decent options). For more pre-flight suggestions, please see my tips section in the menu above. When selecting the best travel car seat for your little one, there are several main points to consider. 1. Weight – The weight of a travel carseat is very important. Flying with a car seat is a little cumbersome so you want to make sure you find a lightweight car seat for travel that still keeps your baby or toddler comfortable (the lightest car seats are sometimes light on heavy padding). You don’t want to be dragging a 25 lb car seat on an airplane or around an airport. The best carseat for airplane travel should be ideally under 10 lbs. 2. FAA Approved Car Seat Sticker – FAA approved infant car seats, and FAA approved toddler car seats must have a sticker affixed to them that reads “This restraint is certified for use in motor vehicles and aircraft”. A flight attendant may check for this when you are boarding. 3. Width – When trying to find the best car seat for airplane travel, the width of the car seat is very important (narrower is better). The Federal Aviation Administration recommends that a car seat for travel be 16″ wide or less. In my opinion, this is ridiculous since there are very few car seat available on the market that are this width or narrower. Most of the best FAA approved car seat options are in the 17-20″ width range. 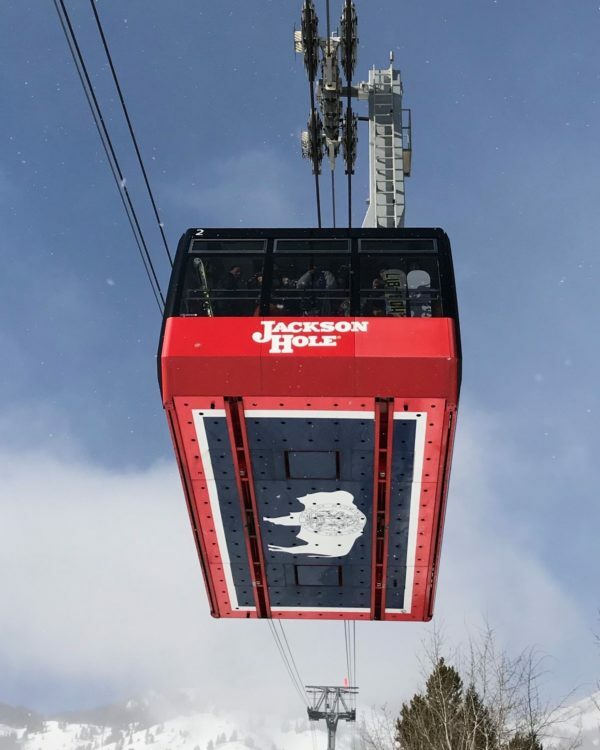 Do not fret terribly about this point, however, since as long as you have a car seat FAA approved label on your seat, you will be fine (the airline is required to make it work). A flight attendant friend of mind told me that they don’t worry a lot about the width of the car seat since they can always lift the arm rests if it is a tight squeeze. Furthermore, since car seats are often positioned in the window seat (so as not to block other passengers), a bit of overlap would likely only infringe on the parent. 4. Age Range – Most bucket style infant car seats are suitable as an airline car seat (as long as they are FAA approved with the appropriate sticker). 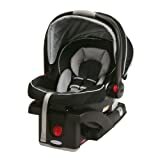 If you are searching for the best travel car seat for toddler aged children, however, you should be looking at the age/size range limits on the portable toddler car seat. For example, many of the best travel car seat toddler options have an upper weight limit of 40lbs. In our FAA approved car seat list, you will find one traveler favorite that is good from 5-65lbs (Safety 1st Guide 65). For good reason, it is a top seller and one of the best convertible car seat for travel available on the market. While the FAA makes a number of recommendations regarding car seats on planes, they absolutely require that you have an FAA approved car seat if you would like to use it on an aircraft. Flight approved car seats have a sticker on them that says This Restraint is Certified for Use in Motor Vehicles and Aircraft. Flight attendants are trained to look for these stickers when someone is boarding the plane with a infant or toddler car seat. If an approved CRS, for which a ticket has been purchased, does not fit in a particular seat on the aircraft, the airline is responsible for accommodating the CRS in another seat in the same class of service. However, a CRS may not fit in some oblique seats in certain premium class cabins. Note: To be an FAA certified car seat, along with other criteria, a car seat must be used with a 5-point harness and meet FAA inversion requirements for airplane use. What this means, is that if you have a portable car seat for toddler aged children that can later convert to a booster seat , it can only be used with the 5 point harness, not as a booster seat. See more on this in a later section. Make sure your car seat (CRS) or device is approved for use on airplanes. Measure the width of your car seat (CRS). It should fit in most airplane seats if it is no wider than 16 inches. (Note: I take huge issue with this point as most car seats are wider than 16″. Do not fret, however. As long as you have an FAA compliant car seat (has sticker saying that the seat is certified for use on aircraft), you will be fine. 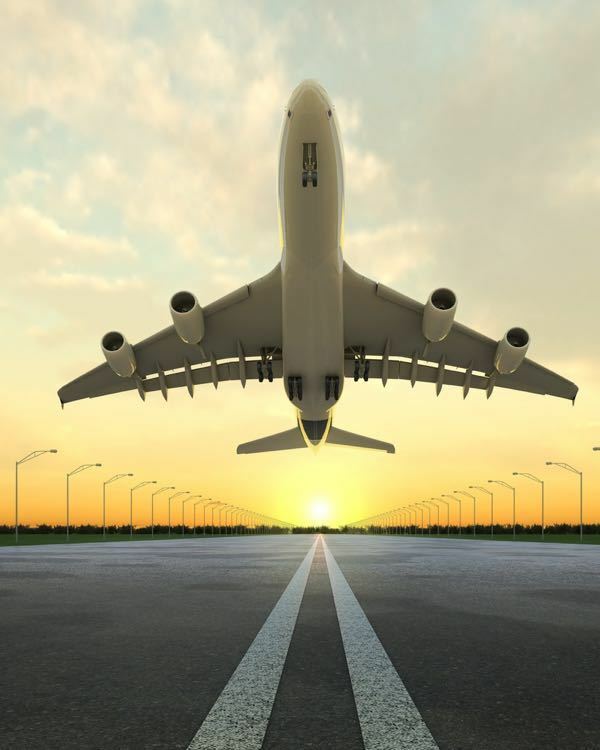 Ask your airline for a discounted fare. Buying a ticket for your child is the only way to guarantee that you will be able to use a portable baby car seat (CRS). Reserve adjoining seats. An air travel car seat (CRS) must not block the escape path in an emergency. Many airlines have policies that require a CRS to be placed in a window seat. Do not place a CRS in an exit row. If you do not buy a ticket for your child, ask if your airline will allow you to use an empty seat. If your airline’s policy allows this, avoid the busiest days and times to increase the likelihood of finding an empty seat next to you. A CRS must be installed in a forward-facing aircraft seat, in accordance with manufacturer’s instructions. This includes placing the CRS in the appropriate forward- or aft-facing direction as indicated on the label for the size of the child. Other than an appropriate car seat style CRS, the CARES Child Safety Device is the only FAA-approved harness-type restraint for children weighing between 22 and 44 pounds. This type of device provides an alternative to using a hard-backed seat and is approved only for use on aircraft. The Cares airplane harness is the only child safety harness that can be used during the whole flight. Designed specifically for air travel (not approved for use in vehicles). Compact – fits into 6 inches stuff sack. Easy to install – takes less than 1 minute. Adjusts to fit almost every size airplane seat (may not fit certain business class seats or pods). Designed for children 1 year and older weighing 22 to 44 pounds and up to 40 inch tall. Reviews and more details about the Cares Airplane Safety Harness here. Still not sure how this thing works? You can learn more about this Cares Harness video. Check prices for the Cares toddler airplane harness from Walmart and Amazon. If you are considering an airline approved car seat solution for an older child, it should be noted that you are not permitted to use a booster seat on a plane. There are no FAA approved booster seats (boosters are not certified for use on aircraft). The reason for this, is that for use on an airplane, a travel car seat must be designed to be secured to the airplane seat with a lap seatbelt only. In the U.S. and Canada, booster seats are designed to be used with a 3 point lap and shoulder belt. While there are a number of travel booster seat options on the market, they are intended for use in cars (rental cars, taxis, Ubers etc.) when your regular booster seat is not available. Your options on an airplane with a child of 2 years or more in a required purchased seat, are to a) secure them using the regular airplane seatbelt, b) secure them a certified for airplane carseat or c) secure them in a Child Airplane Harness. It should be noted that the only child harness permitted for use during a complete flight (including takeoff and landing) is the Cares Airplane Harness and it is only designed for use on airplanes (not certified for use in vehicles). You can sort the chart by tapping on a given heading. If you are on a mobile device, swipe to the left on your screen to see the whole chart. If you would like to read about each car seat in detail, please see the next section. Following is our list of the best FAA approved car seats for airplanes. This Cosco travel car seat is, in my opinion, one of the best portable car seat toddler options. It also happens to be our #1 best seller in the travel convertible car seat category. The key is in its design as a lightweight toddler car seat, making it very easy to transport through airports, use in the air as a toddler airplane seat, and then pop into a cab or rental car at your destination. Suitable from 5-40 lbs (19-40″) rear-facing and 22-40 lbs (29-43″) forward-facing. Dimensions – 23″ H x 17″ W x 22″ D. (23″ wide with detachable cup holder). Weighs only 9.1 lbs making it a great light car seat for travel. Made in the U.S.A. (Columbus, Ohio). Compact TSA friendly design for airport security. FAA certified travel car seat for airplanes. Fits 3 in a row in most cars. Compatible with the Go-Go Babyz Travelmate car seat transporter. 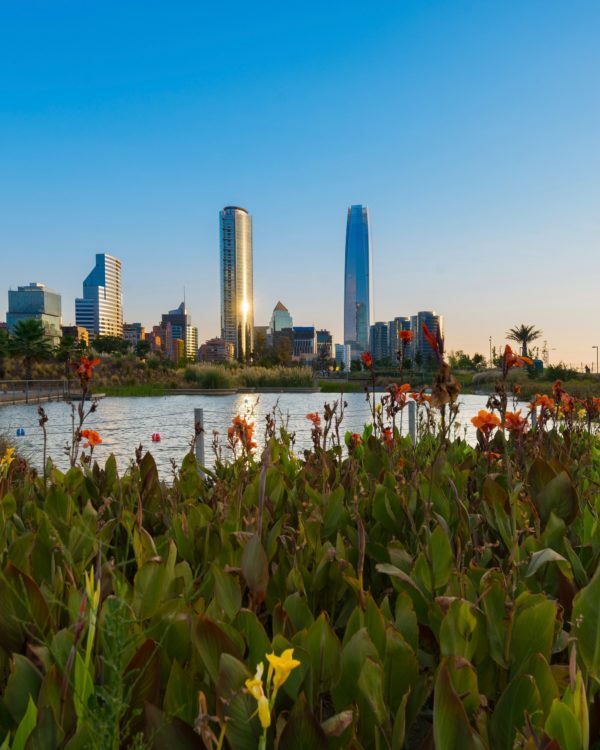 Learn more about the Cosco Scenera in this video. 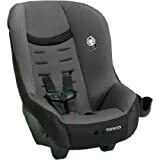 Read reviews for the Cosco Scenera Next airplane car seat here. 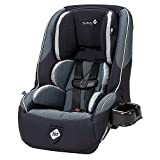 Although heavier than the Cosco Scenera travel car seat, the Safety 1st FAA car seat can be used as a travel car seat for 2 year olds and beyond, as well as for infants. In my opinion, it is the best toddler car seat for travel if you want something that can last you all the way up until your child weighs 65 lbs (or reaches 52″). Since there has been a trend towards keeping children in car seats longer, this one can be a great choice for on-the-go families. Suitable from 5-40 lbs (19-36″) rear facing and 22-65 lbs (29- 52″) forward-facing. Extended weight range makes it one of the best travel car seats for toddlers. Dimensions – 23.5″ H x 18″ W x 23.5″ D.
One of the best travel convertible car seat options for older children. FAA certified car seat for travel on airplanes. LATCH equipped for car use. Fits 3 across in the back seat of most vehicles. Read reviews and learn more about the Guide 65 travel car seat here. Suitable from 5 – 40 lbs (19-37″) rear-facing and 22-40 lbs (28- 40″) forward-facing. Weight of only 9.3 lbs makes it an excellent lightweight convertible car seat choice. Ample padding for a convertible car seat travel option. Car seat certified for use on planes. Read reviews and learn more about the Evenflo Tribute travel convertible car seat here. Claim to Fame: The #1 rated car seat in America. A perfect choice for those looking for an infant light car seat for travel that can also work as an FAA approved airplane baby seat. Suitable for infants (rear-facing only) from 4-30 lbs and up to 30” in height. Weighs only 9.6 lbs (16.6 lbs with base). Dimensions – 27.5″ x 17″ x 24″. Easy SuperCinch LATCH system for use in vehicles. FAA certified airplane infant seat. Can become a great travel car seat stroller system when combined with the Chicco Caddy Stroller Frame, the Chicco Mini Bravo Plus lightweight stroller or the Go-Go Babyz Deluxe infant car seat transporter. Read reviews and learn more about the Keyfit 30 car seat here. Claim to Fame: An excellent choice for an infant car seat for airplane travel due to its light weight, relatively small size and easy use as a full lightweight travel system when combined with a Graco portable travel stroller. Dimensions – 15.6″ H x 18.6″ W x 30.6″ D.
Weight 7.5 lbs without base making it great choice for a baby travel car seat. FAA approved airplane child seat. LATCH-equipped stay-in-car base for easy installation. Can become a great car seat travel stroller system when combined with the Graco Snugrider Elite Stroller Frame, the Graco Breaze lightweight travel stroller or the Go-Go Babyz Deluxe infant car seat transporter. Read reviews for the Graco Snugride 35 lightweight travel car seat here. Are you in need of a car seat travel cart for the airport? If your travel car seat simply clicks into a lightweight stroller base, then you are in luck. 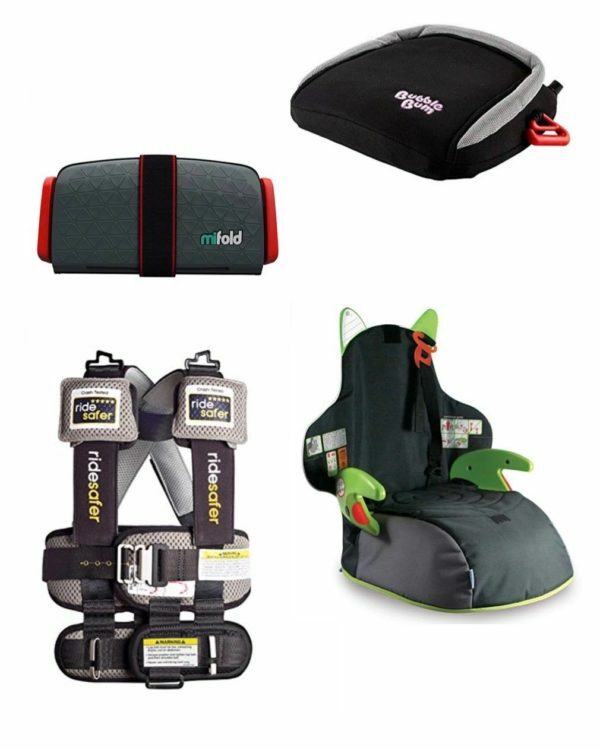 Otherwise, here are our top carseat transporter options to get you through the airport. Fold down plate to accommodate larger travel toddler car seats. Soft 3″ rubber razor wheels provide a smooth ride (one hand maneuverability). Compact: 3 inches deep, 17 inches wide, 28 inches high. Easy to attach or remove in seconds. Quickly converts to become one of the best carseat stroller options for travel. Compatible with most airline approved car seats. See list here. Also available in a deluxe version that works better with infant bucket car seats. Learn more about Go Go Babyz cart in this video. Read reviews for the Go-Go Babyz car seat cart here. This car seat luggage belt turns your rolling bag (handbag or suitcase) in to an ultra-portable travel solution that works for all car seats that have a top tether. No need to spend large amount of money for a car seat carrier. Reinforced stitching and industrial grade belt ensures that this lasts for years to come. Easy to attach to or remove car seat in just a few seconds. Compatible with most 13″- 56″ roller handbags and suitcases. BONUS – Free E-Book for parents on how to keep your children busy while on the move. Read reviews and learn more about the Car Seat Travel Strap here. 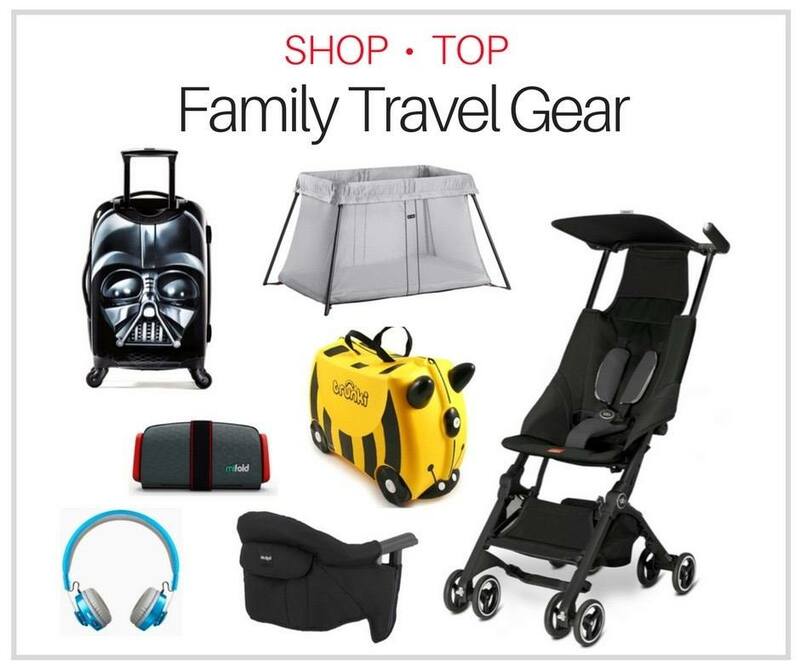 If you are looking for a car seat bag for airplane travel, here are our top picks. Whether you plan to check your car seat with your luggage or if you need to find a good car seat gate check bag – we have you covered. Backpack style allows you to easily take your baby travel seat everywhere. Fits most car seats and all travel car seats mentioned in this post. Fully padded and ergonomically designed for comfort. 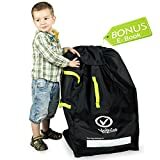 Read reviews and learn more about this car seat bag for travel here. 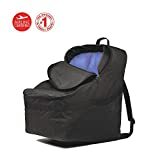 #1 Best Selling car seat bag for airplane travel. 2 padded backpack straps help keep your hands free. 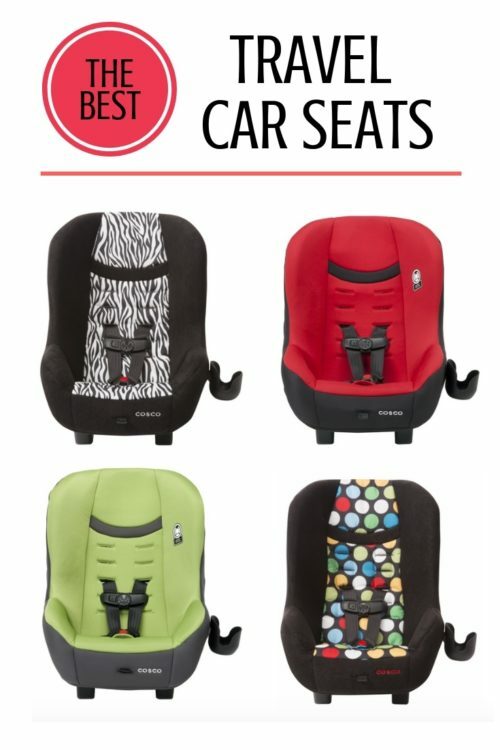 34 x 18 x 18 inch size which can easily accommodate almost all major brands of car seats. A durable car seat travel bag made with high quality, water-resistant nylon. First of all, yes you can install an infant car seat in the rear facing position on a plane if that is what the car seat manufacturer recommends for the age/size of your child (provided the actual airplane seat faces forward, not backwards). Make sure your baby is not blocking anyone from exiting to the aisle (generally meaning that your baby should either be next to the window, or in a center section of the plane). If it is recommended that you use a seat belt extended to install your car seat on an aircraft, just ask the flight attendant for one when boarding. Follow the instructions provided to you in your car seat manual for installation on aircraft. Can find your manual? Not to worry, you can usually find it online. To make installation easier, you may want to recline the seat so that you can more easily feed the seat belt through (returning to an upright position to tighten the belt). If you are having a hard time feeding the seatbelt buckle through the back of your car seat, you could ask for a seat belt extender from the flight attendant. Here is a video from the FAA on how to install a forward facing car seat on an aircraft. Now, let me tell you, it is a heck of a lot easier when you have the bulkhead seat (as shown in this video), but still, it is useful video to watch. Flying with a toddler car seat can be challenging, for sure. Please feel free to share your tips in the comment section below. Do you know some awesome car seats approved for air travel that aren’t mentioned here? Please let us know ! I have emailed them as well. Let’s get to the bottom of this. I hope they haven’t discontinued making it. What an informative post!!!! Thank you!!! My concern is with my 13 month old! I have an evenflo SureRide and am worried that I won’t be able to rear face his seat on the plane. A little insight would be appreciated!! Where are you traveling to? Canadian and U.S. based Airlines are required to make sure you are in a spot on the plane where you can fit your rear facing car seat if that is the appropriate position for the age of your child. You can also download the instruction manual for the SureRide which outlines installation on an airplane (both in the forward facing and rear facing position). Just go to Google. 🙂 I’m assuming you have purchased a ticket for your 13 month old, right? This is directly from the FAA website (https://www.faa.gov/travelers/fly_children/). “If an approved CRS, for which a ticket has been purchased, does not fit in a particular seat on the aircraft, the airline is responsible for accommodating the CRS in another seat in the same class of service. The airline may have polices that dictate the specific safe seat locations for specific aircraft. See Regulatory Requirements Regarding Accommodation of Child Restraint Systems (PDF) to learn more. However, a CRS may not be used in oblique seats in certain premium class cabins. FAA guidance (PDF) to airlines explains this prohibition. We are travelling to Orlando from Plattsburgh NY (I live in Canada ). We are flying Allegiant Air. Would you happen to know where I would find information on their policies regarding CRS in aircraft? They only mention not being able to sit in an emergency row and only by the window seat. Yes I have purchased a seat for my 13 month old. I am nervous I am going to have issues …. Thanks again for your prompt reply!!!! 1. Double check to make sure you can locate the sticker on both car seats indicating that they are certified for airplane use (usually on the bottom or the back). Occasionally they can fall off so you want to make sure they are still there in case Allegiant checks. 2. Here is the Allegiant policy, but remember that they are governed by the FAA (the link I sent you in the previous email). https://www.allegiantair.com/traveling-with-children . You have purchased the seats, you are allowed to use FAA certified car seats in them. 3. You can also call the airline to discuss exactly what your concerns are to see if they have any further comments. 4. Remember to be ready to show identification for your little ones. 5. One more thing, for you older child, you will be using the Maestro as a full car seat with the 5 point harness, correct? (Booster seats not allowed for use on planes because they cannot be used with a lap belt). 6. I know it is stressful. Just remember that knowledge is power ! I assume that we can fly with a “Canadian” car seat! I’ve flown with a Canadian car seat on Transat to Mexico without issue! Also the policy states that they will do their best to accommodate a family to be seated together – but says a child needs to be seated next to an adult (silly question …) but does that mean an adult meaning a stranger could be seated next to my children Becuae they are an “adult”?? 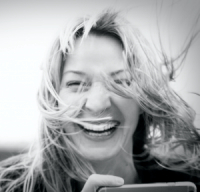 Sorry …..I’m sleep deprived running on coffee !!! For sure I will give you an update upon our return! I am running on coffee too. First of all, my apologies. Although I am Canadian, most of the questions I field are on U.S. car seat regulations for airplanes (as that is where 90% of my audience comes from). I see the dilemma since in Canada we only need to state if the car seat “is not” suitable for airplanes. Update Sept 30th: Hey Jaime. They have not replied to my email. I have re-sent it but I will also try their online chat tomorrow (seem to be closed today – Sun). I had an online chat with Allegiant today. The told me the following. 1. That you and your little ones will be given assigned seating together when you check in. 2. That you will be allowed to board the plane early with member of the military and people who have purchased priority access passes. 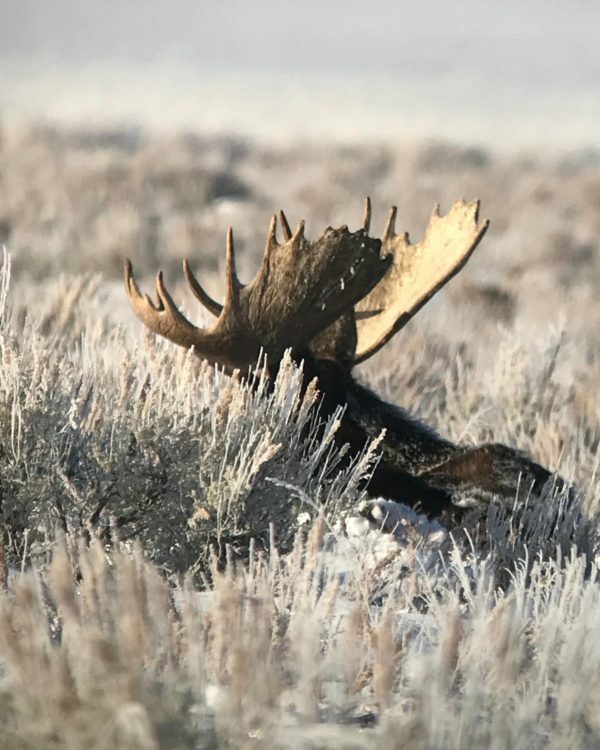 Hi Tara – this is a great article. Thank you for sharing! I’ve been doing a lot of research in regard to a convertible car seat for traveling, and was wondering if you happen to have any thoughts on the Evenflo Tribute? This car seat has come up in a number of articles and was wondering if you had experience with it. Hi. I was wondering what you think of the doon. It is a stroller and car seat in one. I love the light weight of the Cosco seat, but the forward-facing belt path is directly behind the child’s back, with only the thin cloth cover over it. Thus, when installed forward-facing on airplanes the buckle of the lap belt is a hard object the child has to lean her back on. This is uncomfortable and I have to place a blanket or small pillow behind my child to lessen the discomfort. Do you know if any lightweight seats with a forward-facing belt path that the child would not feel? Hi, Richelle. 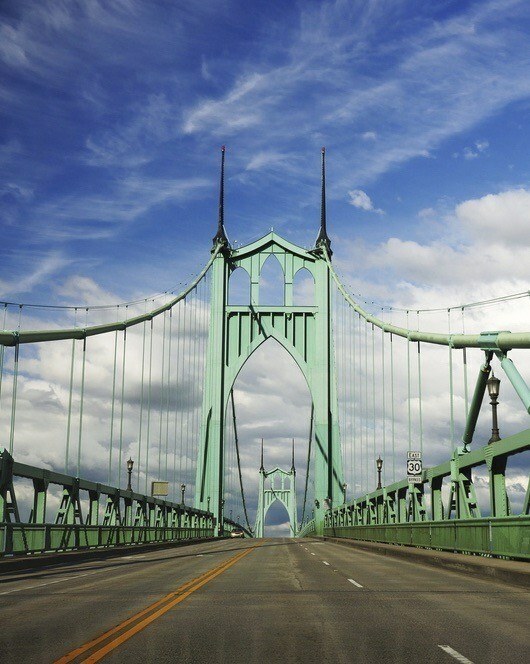 We recently traveled with our cosco on a longhaul flight to Europe. We were able to get around the situation you describe by asking for a seatbelt extender and making sure the buckle wasn’t directly behind our toddler’s back. Best of luck finding a situation that works for you! Hi! Thank you so much for putting this guide together! I will be flying solo next month from the US to Canada on WestJet with a 1 and 3 year old. I have seats purchased for all 3 of us, but am curious as to where I will have to put the car seats. Was hoping to sit in the middle, with the baby next to the window…but am thinking they make me take the aisle (which would be SUCH a pain!). Thoughts? Wonderful! Thank you so much! We are definitely looking forward to it, Canada is a lovely country! Hi Seana. See below from a flight attendant friend. If the 1 yr old is in rear facing car seat, that seat has to go in the window. Forward facing seats can go in any spot as long as they won’t block the aisle. If I were her, I would put the younger one in the window rear facing if needed and older one in the aisle forward facing. Mum sits in the middle to assist both. So thinking safety and if the masks drop mum is able to put her mask on first and then the kids more easily if she’s in the middle. The one yr old can be lap held anytime the seatbelt sign is on for feeding or fussiness. It’s safest if they are in the car seat but as long as they are under 2 they can be lap held. The older one will have to be in their car seat any time the seatbelt sign is on but can sit on mums lap if desired if the seatbelt sign is off. Fantastic information! Thank you so much!! I am traveling with a 2 yr old with Allegiant. I purchased a seat for him. Allegiant website is unclear whether a car seat or an approved harness is mandatory for the 2 yr old. Can you comment on that? I really liked this bag it held up really well for the multiple times that ive used it and its still going strong. Thank you Sam ! So many of the bags out there rip quite easily, so it is good to know that this one is durable. 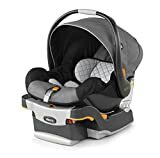 I am traveling with my 2yr old and need to know if this Portable Thickened Baby Child Safety Car Seat Beige & Gray L, is a FAA approved for airplanes?? I will be traveling for the first time with my husband and kids ( ages 3&5) we will be staying in Cali for 2 weeks so the car seat for a car is definitely needed. I am struggling with finding an affordable seat to use just for this trip that meets the guidelines for the plane and car. Spirit airlines says car seas larger 15.5 w X 25 H & 25 D may not fit but if meets FFA they will try to accomdate. Any tips or feedback? I would greatly appreciate it. ? Hi Leah. As long as the car seat has the sticker on it saying that it is certified for use on aircraft, it is the airline’s responsibility to find a seat that will accommodate you. Honestly, it is one of my greatest frustrations that many airlines (and the FAA) recommend that car seats be 15-16″ wide when there are hardly any car seats sold in America that meet this criteria. So that said, something that is in the 17-18 inch zone should work fine (you will put the armrests up on the seat to make more room). The Safety 1st Guide 65 is a pretty good choice (or see if the car seat you own already is FAA certified and a reasonable size so you don’t have to buy a new one?). Alternatively, you could use a Cares Air Safety Harness for the plane and rent a car seats at your destination. Basically, a flight attendant is going to be more concerned about making sure that your seat is FAA certified than if it overlaps on the other seat slightly (probably only infringing on you anyway). Hi, I was wondering if you can use a child secure seat belt vest on a plane? Would that have to be FAA approved sense you use the seat belt with it? Hi Ashely. Unless something has changed very recently, the only safety seat belt vest that is allowed to be used for the whole flight (meaning also during takeoff and landing) is the Cares Airplane Safety Harness. Are you referring specifically to the RideSafer Delight Travel Vest? If so, I have emailed the company and will confirm back as soon as I hear. I know it would be nice if there was something that could be used both on the plane and in a car, but other than a FAA certified car seat, I am not aware of anything. Another baby safety airplane vest on the market is the Baby B’Air, but it is not certified for use during takeoff and landing (nor for vehicles). Hi again Ashley. If you were referring to the RideSafer Travel Vest, please see below for what I heard back from their online customer service department when asking if the vest was certified for use on airplanes (Feb. 5th, 2018). I will mention that our family used an earlier version of the RideSafer vest on some of our travels for use in rental cars (not on airplanes) and it provided a convenient solution (rather than bringing along a car seat). “It is not yet approved for use on airplanes. FAA says it doesn’t fit into their categories so they have to rewrite some policies before the RideSafer can be approved. We have no idea how long that may take. The manufacturer may request an exemption in the meantime but even that could take several months. We do know it is high on his list of priorities to keeping pushing for airline use. Once the airline approval goes through there will be an accessory released that will provide upper body restraint. As it stands now, the using the RideSafer with the plane’s lap belt won’t offer much more protection than just the lap belt itself. them too? This may be a problem with my browser because I’ve had this happen previously. Hi, Thank you for bringing this to my attention. Could you tell me which browser you are using? I notice all the car seats suggested are more than 16″ wide. Yet airlines say it should be only 16″ wide… any advice?? Hi Maria.If your child is between 3-40lbs you could go with the Combi Coccoro. Do not stress, however, if your CRS (car seat) is a little wider than 16″. As long as it has the sticker on it saying that “This Restraint is Certified for Use in Motor Vehicles and Aircraft”, you are good to go. Please see the comment above regarding the fact that airlines in the U.S. must find a seat that will accommodate your car seat as long as that seat is certified for use on aircraft. Ideally, however, it is nice to have a car seat for travel that is not huge and heavy. Good luck with your travels ! I am having similar concerns. Do you know if anyone has used the Cosco Scenera Next on a Boeing 777-300 international flight? If it isn’t a domestic flight, do they still have to accommodate you? According to Cosco, the Scenera Next is 19″ wide (though I’ve seen it listed as 17″ and 17.5″ in other places). Hi Alexis. I have sent an email to Cosco to try to confirm those dimensions. Hopefully, I can get back to you on that shortly. As far as your flight go, which airline are you flying with and where to/from? Update: To confirm, the Cosco Scenera Next is 19″ wide. I will flying solo with my 3 year old and 17 month old to South Africa on Lufthansa. I have purchased a Cosco Scenera NEXT and the Safety First Guide 65 for my 17 month old (still trying to decide which one would be best as they haven’t arrived in the mail yet for comparison). For the 17 month old, will he need to sit RF on the plane? Also, I wanted to use the CARES harness for my 3 year old since I’m not sure how I can haul 2 car seats, carry-on, diaper bag, and two boys through the air port by myself. I have gotten mixed reviews regarding the use of the CARES harness on international flights, specifically on Lufthansa. I have not been able to get a consistent answer from customer service yet, but was wondering if you knew anything about if CARES harnesses are accepted on international carriers, specifically Lufthansa. Thanks! Hi Anna! Good for you for planning ahead. Depending on which car seat you go with, I would contact the manufacturer to confirm which way the seat should be facing on the aircraft. Sometimes this is specified in the manual (based on age/weight), but sometime it is not. In my experience,car seat manufacturers tend to respond quite quickly to inquiries. Likewise, I would call Cares to discuss the use of the flight harness when flying abroad. Although their FAQ section on flying internationally does not specifically name Lufthansa, they may be able to shed some light on the subject as they sell a lot of these units. I totally agree that trying to make your way through the airport with two little ones and two car seats would be quite difficult. I wish I could be of more help to you Anna, but this guide was written specifically for Canada and the U.S. I might also suggest traveler forums such as a Lufthansa thread on Flyertalk.com where you can sometimes get very specific questions answered by frequent flyers. I would love to know how you make out if you have time to comment again post trip. Good luck Anna ! Thank you Tara. Yes unfortunately the customer service reps are not reliable for Royal Jordanian and their website is not nearly as helpful as Lufthansa. The rep said no car seats allowed but the website says they are for kids up to 36 mo. Then no specifics listed on which car seats or window vs aisle seats. Just wondered if you knew if it was airline specific or an FAA regulation. Thanks! Hello, do you know if for international airlines, is it a requirement for carseats to be in a window seat only or will an aisle work? I am planning for my infant son’s first flight. Do I take the base of the car seat too or just the car seat? Hi Yen ! For installing the seat on the airplane, follow the instructions in your car seat manual. If you do not have it, the manufacturer should have it on their website. You could also email the manufacturer and specifically ask. I have found most companies to be quite responsive. When we flew with an infant car seat, we would check the base (for use in a car rental later on), but just use the infant seat on board. Great article! I was happy to read that it is the airline’s responsibility to find a seat that fits the car seat as long as it says that it is FAA approved for airline travel. Thank you so much! So glad to be of help Erin. Happy travels ! It is the airline’s responsibility to find a seat that fits the car seat? Yes, if you look at the FAA regulations, as long as the car seat is FAA-approved, it is the airline’s responsibility to find the seat that fits.